iStyles LifeProof iPhone 8 Slam Case Skin design of Pattern, Green, Aqua, Teal, Turquoise, Visual arts, Design, Motif, Textile with gray, black, blue, green colors. Model LS78-LYDIA. 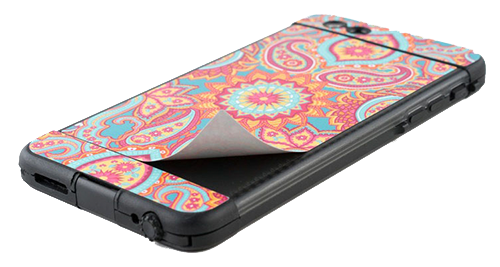 Added Lydia LifeProof iPhone 8 Slam Case Skin to your shopping cart.